Microsoft has released on April 18, 2019, (beside Windows 10 Version 1903) the final version of the .NET Framework 4.8 as well. [German]On January 15, 2019 Microsoft released the preview rollup update KB4481488 for .NET Framework 3.5.1, 4.5.2, 4.6, 4.6.1, 4.6.2, 4.7, 4.7.1, 4.7.2 as well as KB4480096 .NET Framework 4.6, 4.6.1 4.6.2, 4.7, 4.7.1 and 4.7.2 for Windows 7. [German]Microsoft just introduced the upcoming cumulative updates for the .NET framework starting with Windows 10 Version 1809 (October 2018 Update). The company announced this in a new blog post. Here are some details. [German]As of September 11, 2018 (Patchday) Microsoft has released further updates for Internet Explorer, Windows Server, etc.. This blog post contains details about selected patches that are not included in the other posts linked at the end of the article. Another quick addendum: In addition to updates for Windows 7, 8.1 and Windows 10, Microsoft has also released preview rollup updates for the (August 31, 2018). There is obviously a fix for the install error 0x80092004 caused from .Net Framework update KB4340558. Here are a few details about the status of that topic. 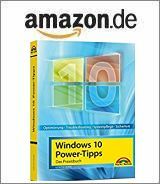 [German]On August 14, 2018 (patchday) Microsoft has released further updates for Internet Explorer, Windows Server, etc. This blog post contains details of selected patches that are not included in the remaining articles linked at the end of this blog post. [German]Microsoft released updates for various Windows and .NET framework versions on July 30, 2018. This is updates are intended fix a couple of collateral damage caused by the previous .NET framework updates. .Net-Framework Update July 2018 pulled?